Public access to upper floor-Mayor’s Parlour; Council Chamber , Handrails only on one side – interupted halfway down by plant’s space. 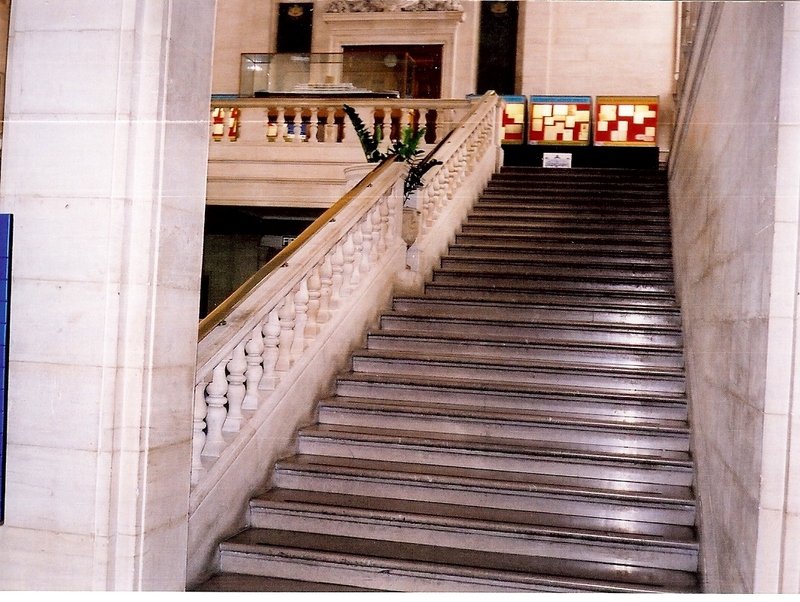 Similar staircase, etc., on opposite side. Recommend additional handrails be installed, of matching design & materials. This safety issue is resolved on most of the other Civic Centre staircases. Safety should be the first priority for public access.